Orinda Therapist: Lisa Bograd - Therapist 94563. Do you find yourself repeating the same frustrating patterns at your job, with your spouse, or with your children but can’t seem to break out of these patterns on your own? Do you keep getting into the same conflicts with your co-workers, your partner, or your children and wish you could avoid these draining and dismaying interactions? I excel at helping people move out of their stuck places to manifest more fulfilling and rewarding lives and relationships. My clients tend to be people who are motivated to understand themselves on a deeper level and to challenge and change beliefs and behaviors that no longer serve them. One of my specialties is in working with people with Eating Disorders, both Teens and Adults who are stuck in repetitive behaviors in relation to food, exercise and their bodies and find themselves unable to break out of these destructive behaviors on their own. I address the medical, nutritional and psychological aspects of eating disorders by utilizing a team which includes a doctor, a nutritionist, a psychiatrist and family therapist when needed. I try to get my clients to begin to speak about what is truly eating them, so to speak, and to help them to understand the role that food plays in helping them to regulate emotions, to provide a sense of comfort, and to attempt to meet unmet needs in a way that feels safe. I am deeply committed to helping people with eating disorders live more expansive lives and manifest more fulfilling relationships with themselves, with others, and with their bodies. I also do prevention work with parents of young children and I am very involved in helping children, teens, and adults in my community to feel more at home in the skin that they are in through various workshops and coaching sessions that I offer parents and individuals. My specialties also include working with people with drug and alcohol addiction, and people struggling with relationship issues, individuals as well as couples. Some of the issues that I am adept at working with include Grief and Loss, Infidelity, Self Esteem and Codependency. In my work with addictions I meet my clients where they are at in the cycle and process of change and do not force change upon them. I try to understand the role that their symptom is serving for them, whether they are binge drinking every day, or engaging in risky sexual behaviors, as well as what they may be repeating or seeking to heal from their family of origin by engaging in these behaviors. I also work with parents of children with eating disorders, anxiety and depression, or addictions, parents who have an interest in trying to understand how their own childhood wounds have created vulnerabilities in their parenting skills and capacities and who seek to repair their stuck places so that they can be more effective in their parental role. 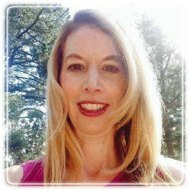 I am trained in both Depth Psychotherapy as well as Mindfulness Based Stress Reduction (MBSR), a unique combination that allows me to help clients to understand their past and work through old wounds and, at the same time, to help ground them in their bodies and in their present experience, where new experiences are possible. I am a relational therapist, which means I am very interested and engaged in the therapeutic relationship and I believe that the therapeutic relationship has the capacity to be a powerful agent of change in my clients’ lives. Since our deepest wounds happen in relationship, it is only in relationship that these wounds can, with time, trust, and safety, be healed. My greatest strength as a therapist is that I make myself available to be truly engaged in the therapeutic process. To paraphrase one of my clients: “You are not one of those therapists who sit back in her chair and let me do all the talking.” I use all of the tools available to me: my training, my expertise, my thoughts and feelings and the whole of my being to try to understand what my clients are communicating to me, and what they need from me in order go to sometimes scary and painful places, to acknowledge their losses and to grieve them, so that they can make room for new ways of experiencing themselves and others and open themselves up to new possibilities.